Here in Japan, it’s customary to bring back gifts for friends and coworkers if you go on a trip somewhere. These gifts are called omiyage(おみやげ / お土産). Omiyage is a big business, you’ll see stands selling boxes of biscuits and local snacks(as above) in all but the smallest of stations. They’re also found in just about any tourist hot spot, so there’s not excuse not to buy some treats for your friends back home! 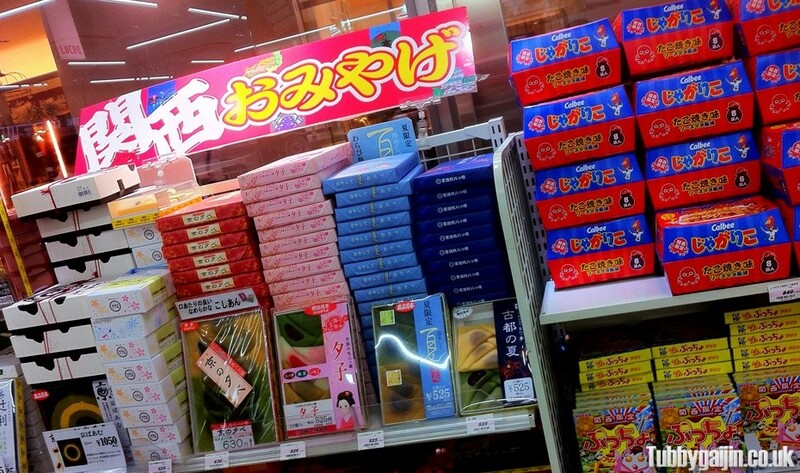 As these items are all Okinawa-specific, they could also be considered Meibutsu (めいぶつ / 名物) – products associated with a particular region. 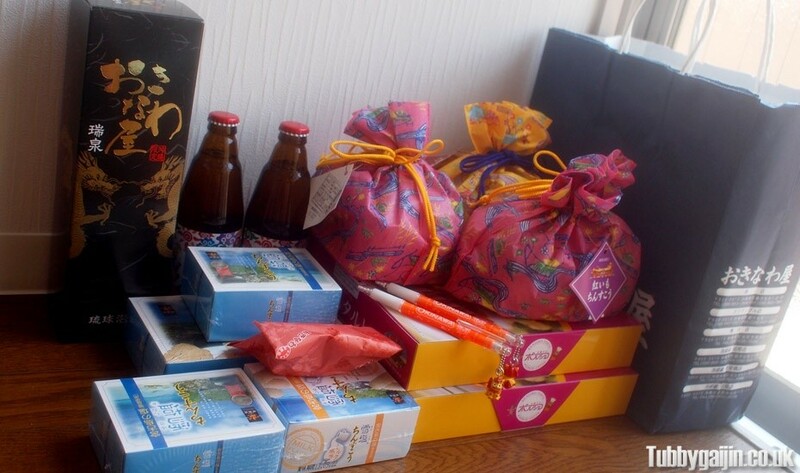 There’s some Okinawa Sake(bought from the particular store which makes it), local beer, biscuits, pens and beni-imo tarts(sweet potato) – an Okinawa speciality! I’m really lucky as I get a lot of omiyage at work, so it was about time I repaid the gesture!